All attendees must pre-register. Fee for attendees is $560. A reduced fee of $295 is available for students and retirees. Registration entitles participants to attendance at all technical sessions, coffee breaks, lunch each day, a reception the evening of Monday August 1, and a conference banquet on the evening of Wednesday August 3. 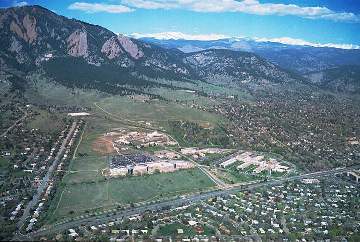 Tours of the NIST and NOAA Boulder Laboratories will also be available to registrants on the afternoon of Wednesday August 3. Attendees will also receive a copy of the conference proceedings, which will be assembled and published after the meeting. A separate fee of $101 enabling accompanying persons to attend the reception and banquet is also available. Please contact Ronald.Boisvert@nist.gov or Andrew.Dienstfrey@nist.gov if you wish to attend. Note: All participants must register by 5 pm EST on July 24, 2011. This working conference will bring together experts in mathematical modeling, numerical analysis, numerical software engineering, and statistics, along with scientists from a variety of key applications to assess our current ability to quantify uncertainty in modeling and simulation, to raise awareness of this issue within the numerical software community, and to help envision a research agenda to address this critical need. Conference topics will include: (a) Numerical software verification, (b) Validation metrics and comparison with physical experiment, and (c) Uncertainty estimation for predictive modeling and simulation. In addition, case studies from representative application areas, such as electromagnetics, mechanical engineering, and nuclear power plant control, will be presented. To ensure a focused working conference with maximum opportunity for group interaction, participation will be by invitation only. Please send e-mail to the conference Technical Contacts if you wish to be invited. Proceedings of the conference will be published by Springer as part of IFIP's Advances in Information and Communication Technology series. This conference is a registered satellite to ICIAM 2011. The yearly IFIP Working Group 2.5 business meeting will take place on Friday August 5, 2011 at the conference venue. A separate registration is not necessary for this event. To ensure the maximum possible interactions among all participants, all talks will be presented in plenary sessions. Talks will be 35 minutes in length, with 10 minutes reserved for discussion. One session will be devoted to "Hot Topics" whose presentations will be arranged after the start of the conference. The meeting will be held at the Millennium Harvest House in Boulder, Colorado. A block of rooms at the Millennium Harvest House is available to attendees at a special conference rate of $104/night + 12.25% tax. (Double, triple, and quad occupancy rooms have base nightly rates of $114, $124, and $135 respectively.) Rooms include complementary breakfast and Internet access. Attendees are urged to book a room at the conference hotel. Instructions for obtaining the conference rate will be available upon registration. The conference room rate will be available to those who register by July 1, 2011.